Companies will face harsher punishment if they are found to have stolen ideas from smaller companies, according to the government on Tuesday, amid growing calls from startups to protect their ideas and technologies. 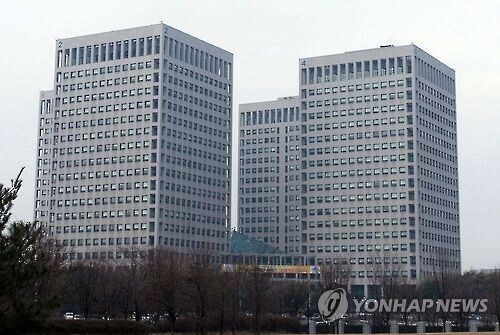 The Korean Intellectual Property Office announced Tuesday the revised law to prohibit unfair competition practices and to protect confidential business information. It is to take effect on July 18. Unfair competition practices include using without permission ideas shared in business proposals, business consultations, biddings and contests. The ideas of many small companies are often leaked or stolen when they provide their ideas before signing a business agreement. Under the revised law, the victims can take legal action, such as claiming for damages and requesting for an injunction against infringement. “There has been growing discontent among small companies whose ideas and technologies are stolen by large companies without any compensation,” said Kim Ji-soo, chief of the Ministry of Trade, Industry and Energy’s industrial property protection policy division. “Most of them also ended up losing lawsuits because the stealing of technologies often takes place in the idea formation stage before their technologies are protected by patents. Also, there has been no proper law to protect them,” he said. Debate has persisted over large companies allegedly stealing the ideas or technologies of small companies in Korea. KT’s augmented reality service launched in May last year was embroiled in a plagiarism controversy as it allegedly copied a startup’s business proposal made five years ago. Naver’s key affiliate Snow was also criticized by Seerslab, which claimed Snow copied its selfie-app Lollicam’s business model. Also, when fresh juice firm Juicy gained popularity nationwide, dozens of brands copying its business model sprang up. According to a survey of more than 300 startups by the Korea Venture Business Association early this month, 17.7 percent of the respondents said the protection of their technologies is most necessary in order to boost investment and M&As by large firms. This was followed by fostering capable startups (19.6 percent) and deregulation (15.8 percent). The government said it would continue to toughen punishment on unfair business practices. In February, the government and the ruling Democratic Party agreed to revise the law so that companies that steal technologies would have to make compensation of up to 10 times of damages from the current three times. The proposal is now pending at the National Assembly.